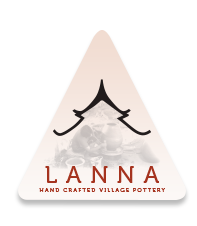 The Lanna Pottery Range is new to Australia, and more specifically to the Bunnings Garden Pots range. It currently consists of two unique ceramic designs – with more to follow. Each design in the Lanna Pottery Range consists of 3 natural looking colours and sizes. These cater for a nice variety of plants while providing an opportunity to create and design a consistent matching element to the garden. Inthanon – The Inthanon style comes in Orange and White colours are in Australia, while the orange, white and green are available in New Zealand. They have sizes of 80cm and 53 cm in height. Taeng – The Taeng style also comes in the 3 colours – orange, white and green, and are all available in Australia and New Zealand. Available in 71cm, 58cm and 44cm diameters.